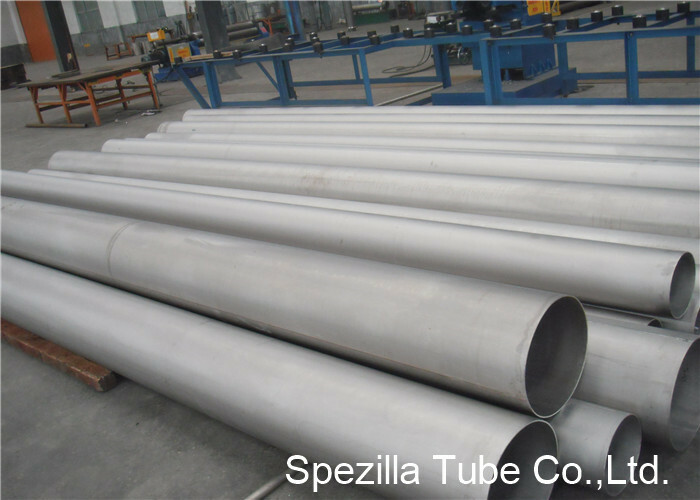 Home Companies Spezilla Tube Co., Ltd.
Titanium grade 7 is a corrosion resistant alpha titanium alloy with similar mechanical properties to the commercially pure grades. It has a small palladium addition to improve corrosion resistance, particularly in mineral acids and strong brines. It is used mildly reducing or fluctuating conditions. 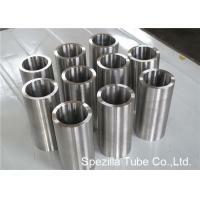 At room temperature it is an alpha alloy. It transforms to beta phase at 913°C, and the alpha phase returns on cooling 890°C. Titanium is reactive, with a very high affinity for oxygen, which forms a skin of very stable and highly adherent oxide. The skin gives excellent corrosion resistance, despite the reactivity of the metal. The oxide layer forms spontaneously and on exposure to the atmosphere. However, when new parent metal is exposed to anhydrous conditions or in the absence of air, rapid corrosion may occur. Care should also be taken if titanium is to operate in contact with hydrogen, as hydrogen embrittlement from hydride formation can increase strength, with loss of ductility.